For many people, having a bad credit score is almost akin to a death knell that effectively eliminates any financial clout that they may have. 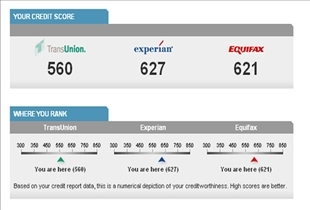 While a good credit score is certainly preferable, a bad credit score isn't necessarily the end of the world, and can be rectified, as you will see in this comparison article. A good credit score comes from good debt, which is essentially debt that creates value for the borrower. A few examples of debt that can contribute to a good credit score are student loans, real-estate loans, mortgages, business loans, and the like. Bad credit score of course comes from bad debt, which essentially results from late payments or defaulting on payments. This is typically incurred by buying disposable items with the use of credit cards that have high interest rates, and then not being able to pay the balance in full. Good credit score comes from having good credit. This is the result of borrowing money and then paying it back in full on or before the due date. What this essentially does is give credit bureaus and other lending establishments an indication that you are able to mange your debts effectively. This makes you a good potential borrower by their reckoning. The more good reports you have with the major credit bureaus, the better your chances are of getting a good credit score. Bad credit score on the other hand comes from poor payment practices. This occurs when you don’t pay your debts by the due date, or fail to pay them off at all. It is important to note that a bad credit score does not happen after a single missed payment or even two. However, a consistent record of being unable to make payments on time, or the inability to make a single payment for several months will definitely earn you a bad credit score. With a good credit score, your chances of being able to borrow money at more favorable interest rates increase. This is because you will already have proven to the banks and other lending institutions that you are responsible enough to manage your debts effectively. More and more employers are also considering the credit score of a potential employee, as a means of gauging responsibility. Having a good credit score will also increase your chances of being able to get loans that are not available to people with bad credit scores, such as car or housing loans. A bad credit score carries with it no advantages whatsoever. Having a poor credit standing will close off the opportunity to get more favorable loans with better terms and interest rates. A bad credit score may also get in the way of you being able to get a credit card, a house or a job. Thankfully a bad credit score can be fixed with a combination of repayment and reduced spending. A 600 credit score is considered to be? 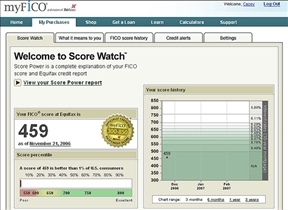 Many people look forward to such terms to know what they can do with the good credit score. Mostly when it comes to the loan time, the people having the good score gets the money easily. The information you shared is very nice. Credit scores come by waving out the history of borrowed money resulting how the payments have been made. If your payments are on time or before the due date means you are having a good credit. And bad credit comes from improper payment practice or inability to make payments.